Since August of 2012, I’ve gotten married, gotten a puppy, completed my first jury trial, worked a lot, sewed a lot, traveled a lot, knitted a fair amount, and had lots of game/trivia nights with friends. Anyway, the real reason I’ve decided to start blogging again is because I’ve recently lost my sewing mojo! It’s tragic, really. Over the last month or so, I’ve barely spent any time sewing. I typically spend at least a couple of nights per week working on garment sewing, but, lately, I haven’t even touched my sewing machine! 😦 In fact, the only sewing I’ve done in the last month is to make two pot holders for Christmas gifts. That’s pretty sad. While there have been a lot of family and personal things weighing on me, which partially explains the lack of sewing mojo, I’m determined to get my mojo back! So, I’m re-starting this blog in the hopes that I’ll feel motivated to start sewing more often if I have a place where I can show off my finished objects. To further motivate myself, I’m establishing the following goals for 2014. They aren’t resolutions (because I hate the idea of making New Year’s resolutions – why not make a “resolution” any time you find the need to make a change and go for that? Seems like you don’t have to wait until January 1 to start a new goal! But I digress…), but they are something I hope will motivate me in the next few months. 1. Professional looking button holes!! 6. Work on sewing up seams in knitted works! You are totally capable of accomplishing all these goals! 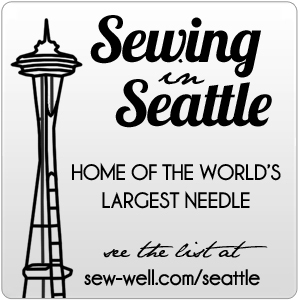 Yay for 2014, and new sewing goals! !